The right to resell personal possessions drives everything from neighborhood yard sales to Craigslist to eBay. Say Kate sells John a radio. At some point, John buys a new model or simply tires of it, and offers it for sale to Jack. Kate is unlikely to know when and under what circumstances Jack buys the radio. After all, John paid her fully and fairly for it. Such a transaction seems to be entirely straightforward. Now say that instead of a radio, Kate sells John a luxury car. And that Kate is a saleswoman at a dealership. John purchases the car legally and pays for it in full. Then John sells the car to Jack – only this time, Jack happens to live in China. Evidently we now need to involve federal prosecutors. Fraud is a crime. Wanting to earn money, on its own, is not. I thought I owned a car once I bought it, and that ownership lets me do with it what I want. These cases raise some questions, such as: How long do I have to keep the car before I can resell it without triggering alarms? Why does it matter if the buyer is American, or Canadian, or Chinese? And how on earth did federal prosecutors get involved in sorting these questions out? Back to the subject of car exports. The deception, in most cases, comes in the form of a “straw buyer,” someone who will conduct the actual purchase on behalf of the exporter. In some cases, straw buyers simply allow dealerships to think they are making personal purchases. Other buyers are actually deceptive, giving prosecutors a jumping-off point for their pursuit. In New Hampshire, two men fraudulently obtained local driver’s licenses as part of their operation, triggering the only instance of the federal investigations known to involve criminal charges thus far. The straw buyers pay for the cars, usually with cashier’s checks, and register them under their own names. They then turn over the cars, receiving payment for their labor, and the exporters have technically used vehicles in hand that can be sold overseas. Exporters are fighting back against prosecutors’ efforts to seize vehicles and bring lawsuits in what is, they argue, essentially a civil dispute. Michael Downs, of Fort Lauderdale, Fla., has proactively filed a lawsuit in federal court, attempting to secure a declaratory judgment that his business is legal. Downs told The Times that his company complies with all state and federal laws, though New York prosecutors have sought to freeze a company bank account and seize cars. Ely Goldin, an attorney representing a couple who have also run afoul of federal prosecutors’ efforts to stop this practice, told The Wall Street Journal that the government should not make a criminal case out of a civil dispute between car dealerships and their customers. “Why should a buyer of a car be prohibited from exporting a car after he paid top dollar for it?” Goldin asked. The question is a good one, and the government has yet to provide a satisfactory answer. 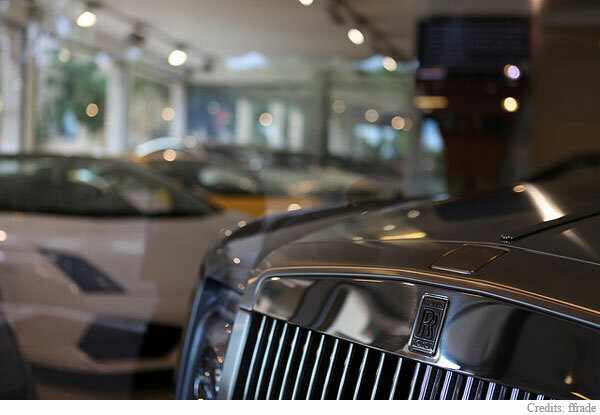 And as China’s used car market continues to grow, the large gap between the cost of a new luxury car in the U.S. and a pre-owned car’s resale value in China will continue to attract the attention of entrepreneurs willing to expend the time and effort to pursue the venture. Automakers have rules forbidding dealerships from willingly selling cars to known exporters. Those rules should make this business a struggle between auto manufacturers and resellers – a dispute in which federal prosecutors have no clear place. But until someone like Downs can get a judicial opinion, the threat of criminal prosecution will continue to dominate what should be a matter for, if anything, private litigation. People looking to make a buck, absent any fraud, is just capitalism. Federal prosecutors should have better things to do than serving as the muscle behind car makers and their dealers.